This is something we see way to much of today, if an idea gets disproved or loses credibility, just change the name. So is deception by another name, not deception? White House science adviser John Holdren urged people to start using the phrase during a speech last week in Oslo, echoing a plea he made three years earlier. 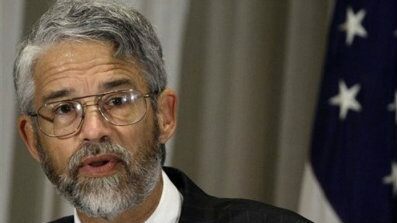 Holdren said global warming is a “dangerous misnomer” for a problem far more complicated than a rise in temperature. The call comes as Congress prepares to adjourn for the season without completing work on a stalled climate bill. The term global warming has long been criticized as inaccurate, and the new push could be an attempt to re-shape climate messaging for next year’s legislative session. He said the climate change change-up likely derives from flagging public support for their bill to regulate emissions. He said the term “global warming” makes the cause easy to ridicule whenever there’s a snowstorm. Asked about the speech, Holdren spokesman Rick Weiss said only that the Office of Science and Technology Policy has been transparent about Holdren’s remarks. “The PowerPoint for Dr. Holdren’s Oslo presentation has been public on our website since the day after he returned,” he said. The explanation he gave last week was that the impact from greenhouse gas emissions covers a broad “disruption” of climate patterns ranging from precipitation to storms to hot and cold temperatures. Those changes, he said, affect the availability of water, productivity of farms, spread of disease and other factors. “Changes to precipitation patterns and sea levels are likely to have much greater human impact than the higher temperatures alone,” the report said. But Republicans predicted that re-branding the issue would have limited effect on the legislative effort. GOP strategist Pete Snyder said he doubts the term is going to change hearts and minds. Holdren’s “global climate disruption” isn’t the most convoluted term to grace the climate debate, however.